Singapore has always been one of the favorite overseas destinations for Indians. In recent years, it has emerged as the top destination for Indians in Southeast Asia and there is a distinct reason for that. The city-state with its casinos, shopping districts, fine dining and street food, amusement parks and nightlife has endeared Indians for decades. Now, Indians have started exploring cruises departing from Singapore and exploring multiple countries in one short trip. The phenomenon is being called fly-cruise tourism. Singapore has a favorable equatorial climate that Indians are accustomed with. 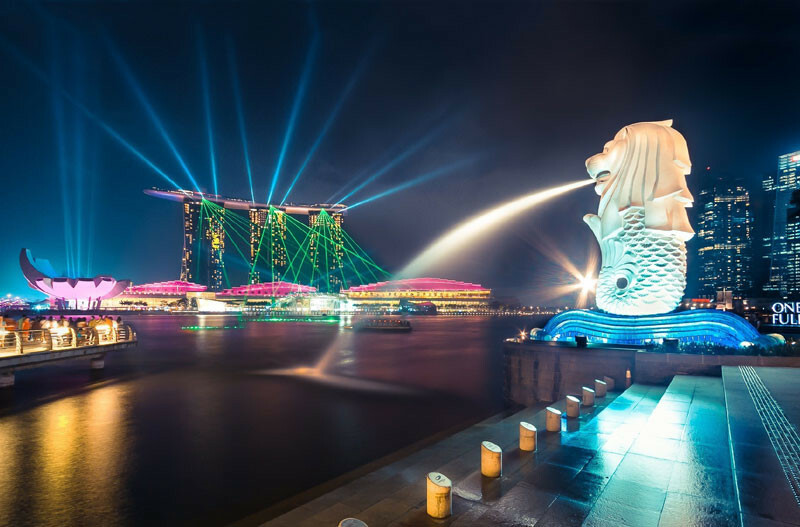 Direct or nonstop flights to Singapore are less than six hours from New Delhi, five and a half hours from Mumbai, four hours and twenty minutes from Calcutta and Chennai. The proximity helps and tourists get to embark on cruises to explore Malaysia, Thailand, Cambodia and Vietnam or Indonesia and also the Philippines in some cases, all in one trip. It is not a surprise why cruise passengers in Singapore from India increased by a whopping 29% from 2015 to 2016. Royal Caribbean, one of the major cruise operators in the region, has added several voyages to meet the burgeoning demand. According to a report published by Singapore Tourism Board, India is right now the biggest market for cruise operators in Singapore. Cruises departing from Singapore and especially those that cover multiple countries, such as Phuket in Thailand and Penang in Malaysia, are reasonably expensive for most Indians but the neo middle class in the second most populous country in the world is spending big on leisure and international travel features as the most sought after. India has in fact surpassed China by 3% to become the fastest growing market for inbound passengers for Singapore. According to estimates by Euromonitor International, Indians are spending around $12 billion in a year on overseas leisure travel and that is poised to expand by 10% every year to be valued well over $15 billion by 2020. While fly-cruise tourism may be the overarching factor here, there are other smaller but significant elements at play. Singapore has a strong Indian expatriate community. Nonresident Indians and Singaporeans of Indian origin have a penchant for inviting and hosting their relatives and friends. Now they are embarking on cruises. Cultural and culinary aspects are also playing a significant role. Many cruise operators have started offering vegetarian cuisines as a vast population of India remains strictly vegan. Bollywood, the Hindi movie industry based in Mumbai, is catering to the cultural ethos. Discos onboard the ships and pool parties often host Bollywood themed parties and play Hindi, Tamil and Punjabi songs. Fly-cruise tourism has really taken off and that has been recognized by the Singapore government as well. There is a Cruise Development Fund, set up solely to help event organizers, tour operators and travel agents so they could get more people from India and other Asian countries to set sail from the island nation. It is worth noting that fly-cruise tourism is not confined to honeymooners or senior citizens on their post retirement holiday. Tourists who have never been to Singapore, young professionals and graduates, families with kids and groups of friends are just as ardent. Morris Edwards is a content writer at CompanyRegistrationinSingapore.com.sg, he writes different topics like What is attracting Indian start-ups to Singapore? and all topics related to Tech and Business, if you are interested about Business registration Singapore visit our website.